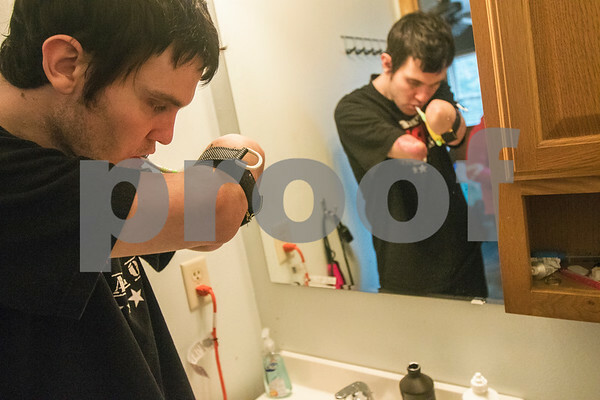 Ethan Menges uses an adaptive strap to brush his teeth in his bathroom at sister Britteny Menges' Rockford home on Monday, Dec. 14, 2015, after moving in with her the day before. Menges had all four of his limbs amputated in September following a life threatening battle with a virus that spread to his bloodstream and put him in a coma after collapsing on Jan. 22. He'll be getting his upper prosthetics shortly.